This work was made for "#IMPACT: The Future is Inclusive" exhibition at Art and Design Gallery at Fashion Institute of Technology, NYC (February 12 - March 5, 2019). 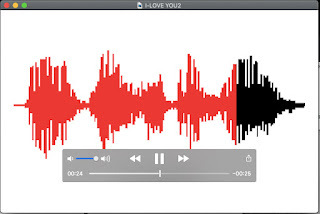 I asked nine New Yorkers to say "I love you" in their native languages: Arabic, English, German, Hindu, Korean, Polish, Russian, Spanish and Swedish. 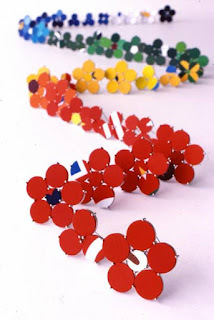 I believe that this project represents the wonderful "melting pot" culture of New York which makes this city so special. 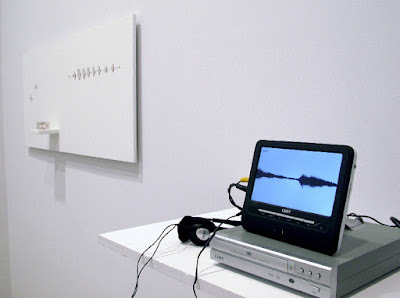 I hope to keep expanding this collection of recordings by adding more languages spoken in NYC. 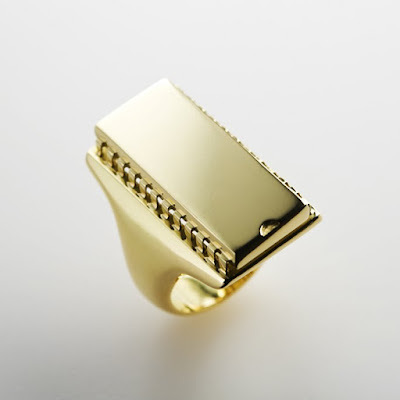 This man's ring features a precise cast of the original Atari computer chip out of 18 karat gold. 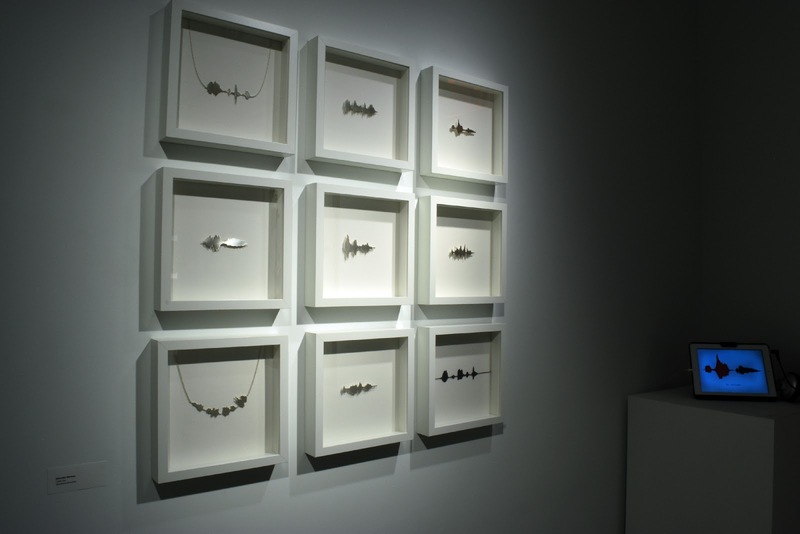 These are my first series of waveform jewelry made for an art exhibition. 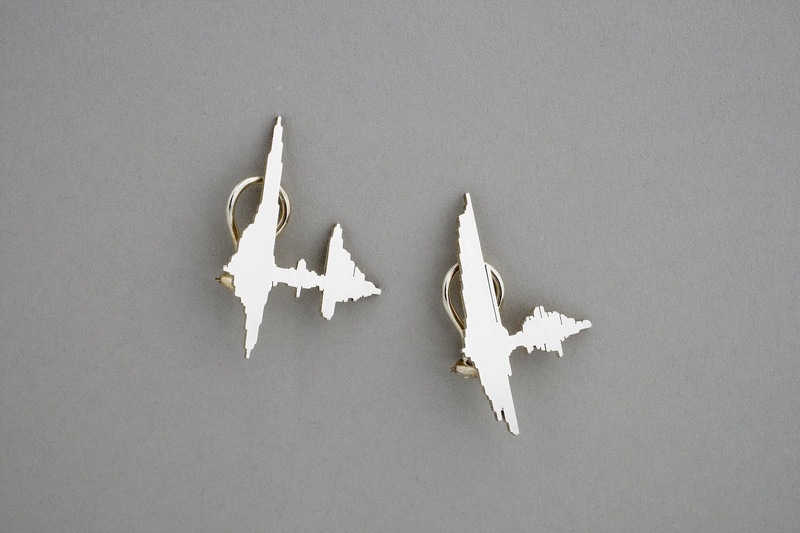 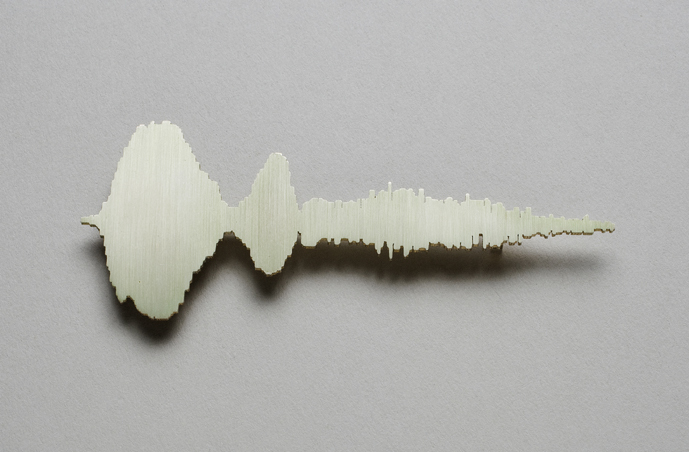 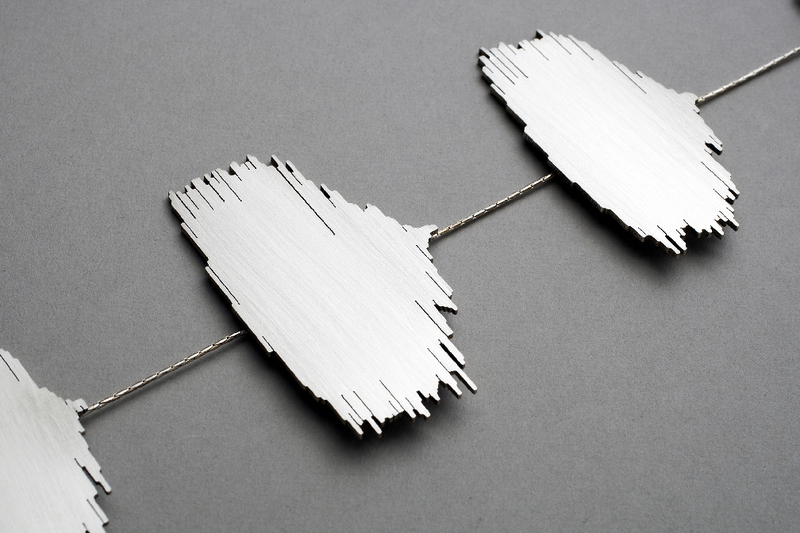 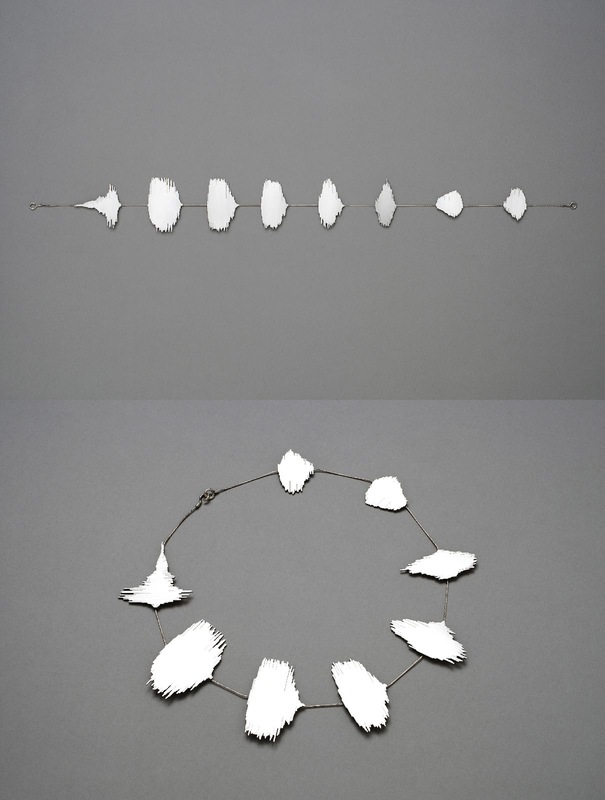 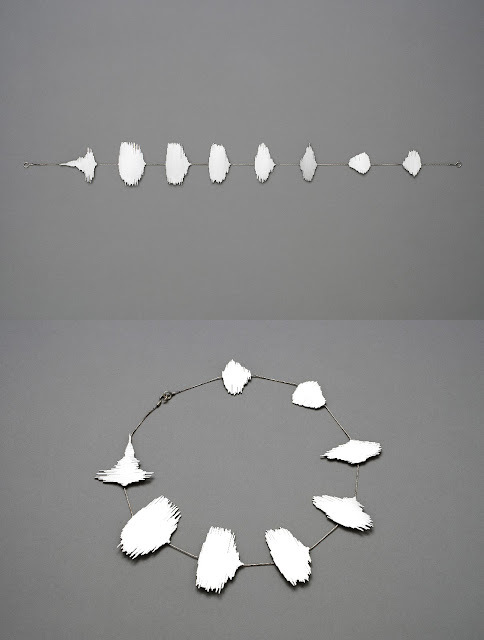 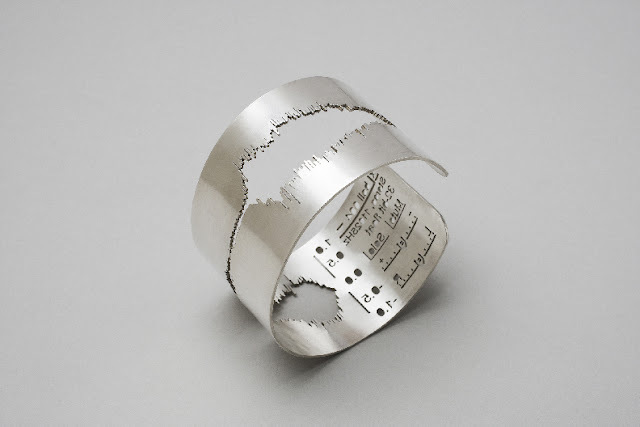 “Waveform Series” consists of laser-cut shapes of various sounds, rendered in silver, gold or other precious metals and presented as wearable jewelry. 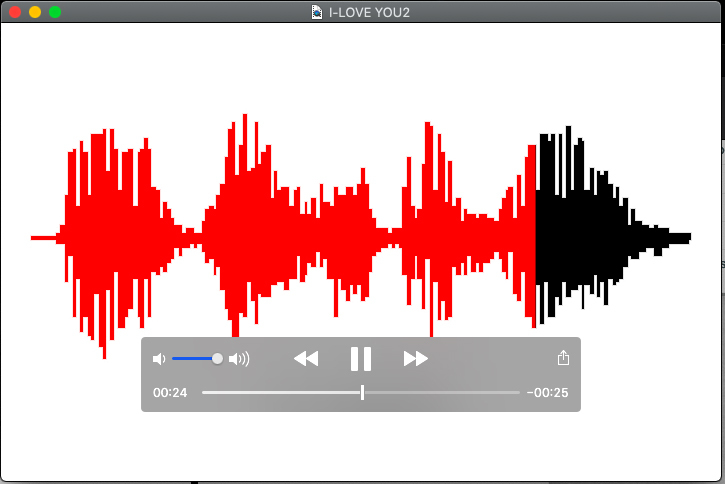 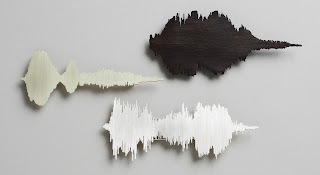 Human expressions such as yawn, sneeze, or giggle were used for this project. 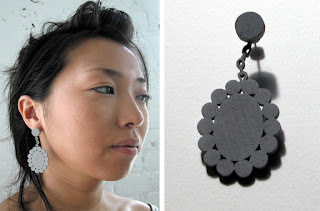 All works are laser-cut and hand fabricated. Installation View: In the exhibition context this project included a DVD player and a monitor: the audience could enjoy both the object and the actual video of sound wave played back. 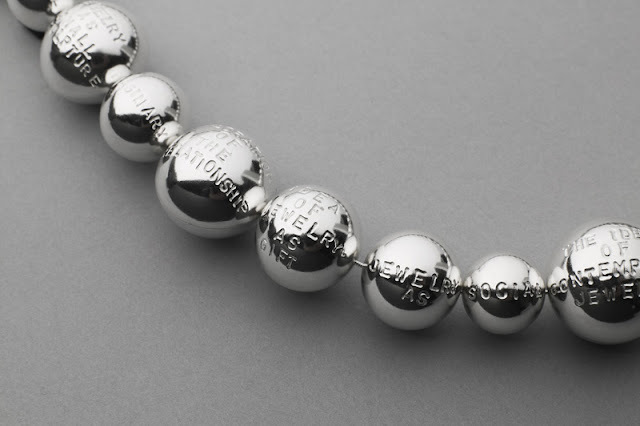 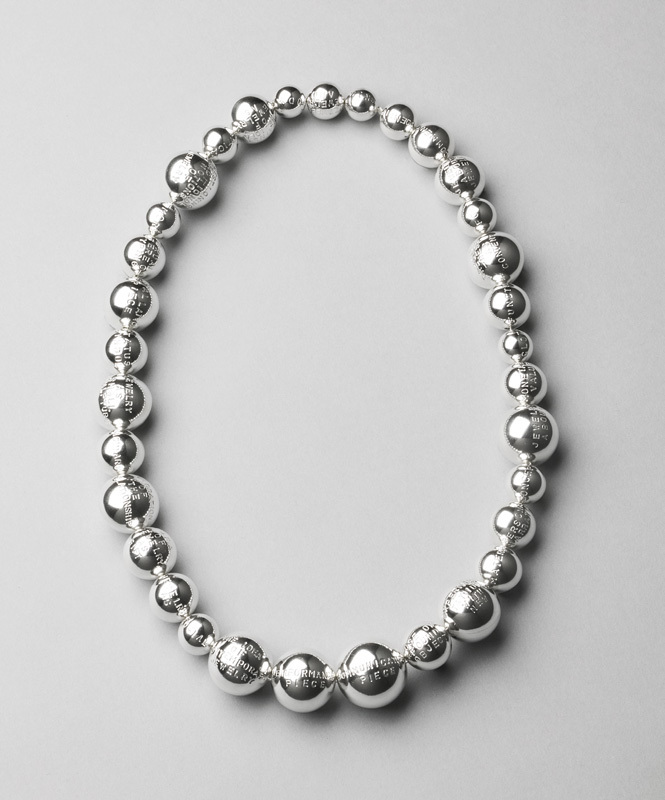 All possible ideas used for the work of art jewelry since the 60's are stamped (in some cases, it's divided into several beads). 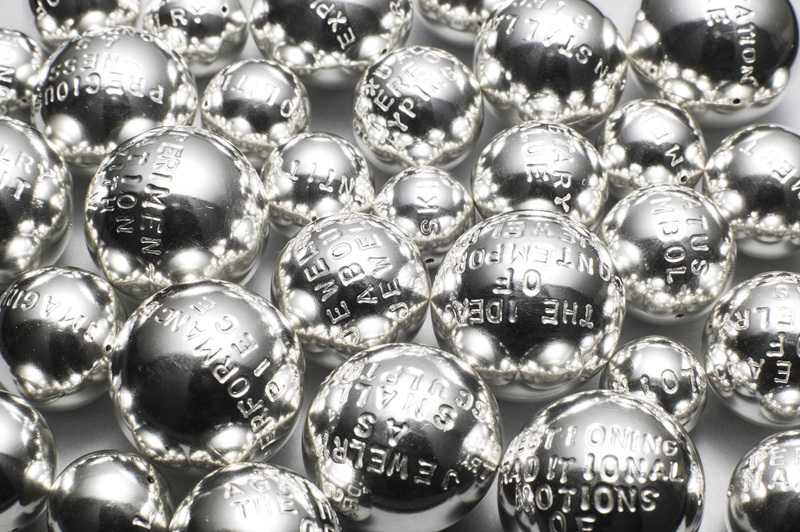 Beads: (various sizes): 14-27mm dia. 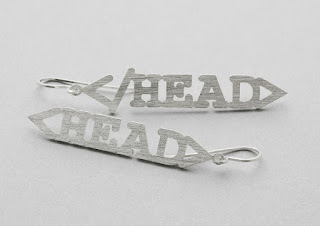 This piece is a conceptual pun on the “HEAD” tag in HTML. Wearer’s actual head is placed between “open” and “close” tags. 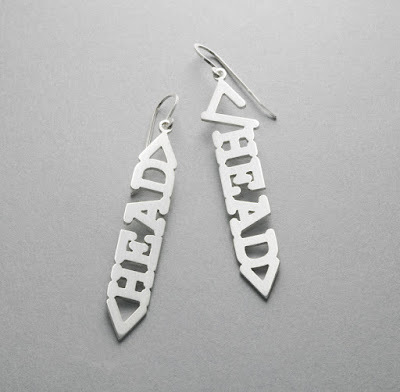 The title is same as the one shown as the earings. the tag symbol cannot be displayed in the title above. 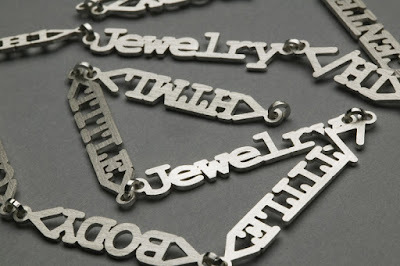 The tag symbol is not displayed properly in the title above because it is one of the code. 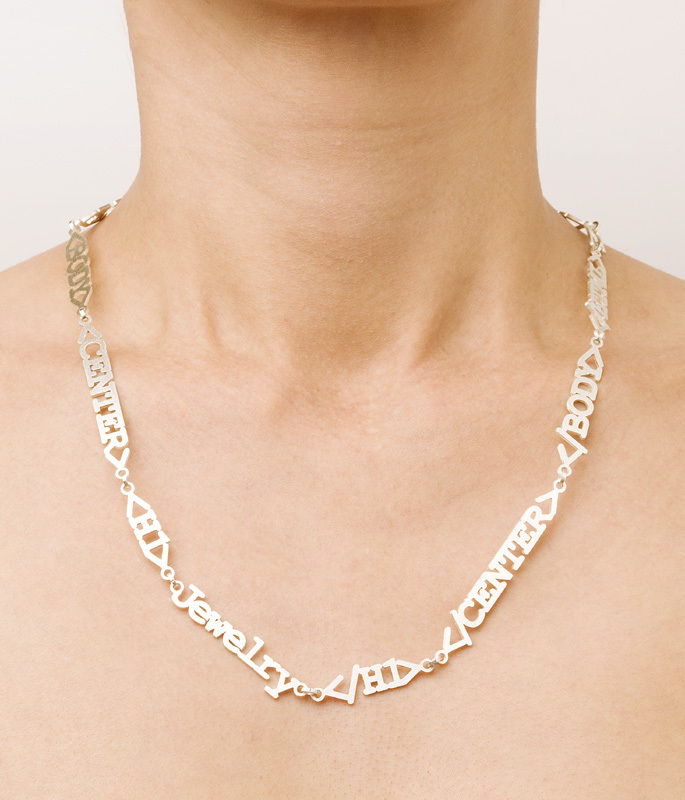 This is a physical representation of the HTML code needed to display a word "Jewelry" via internet browser. 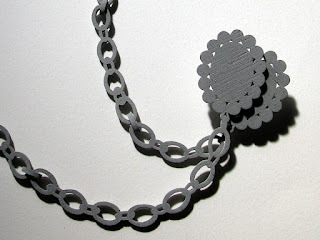 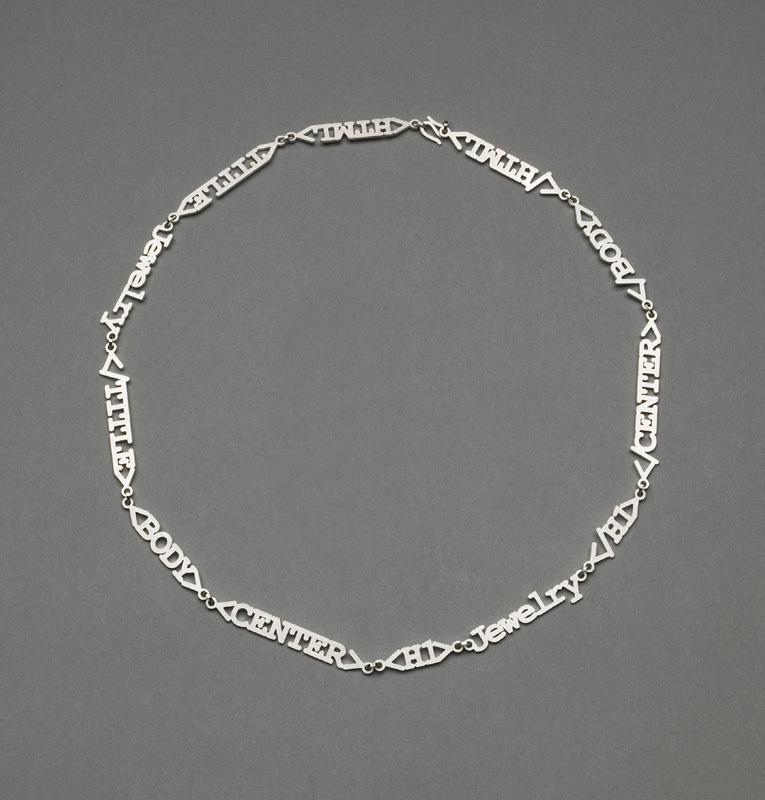 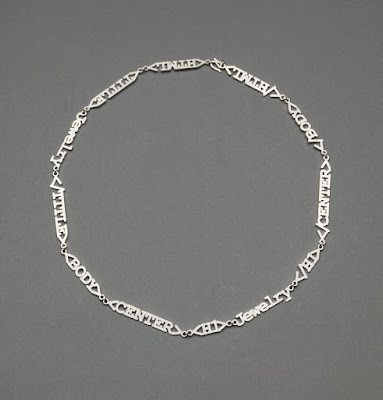 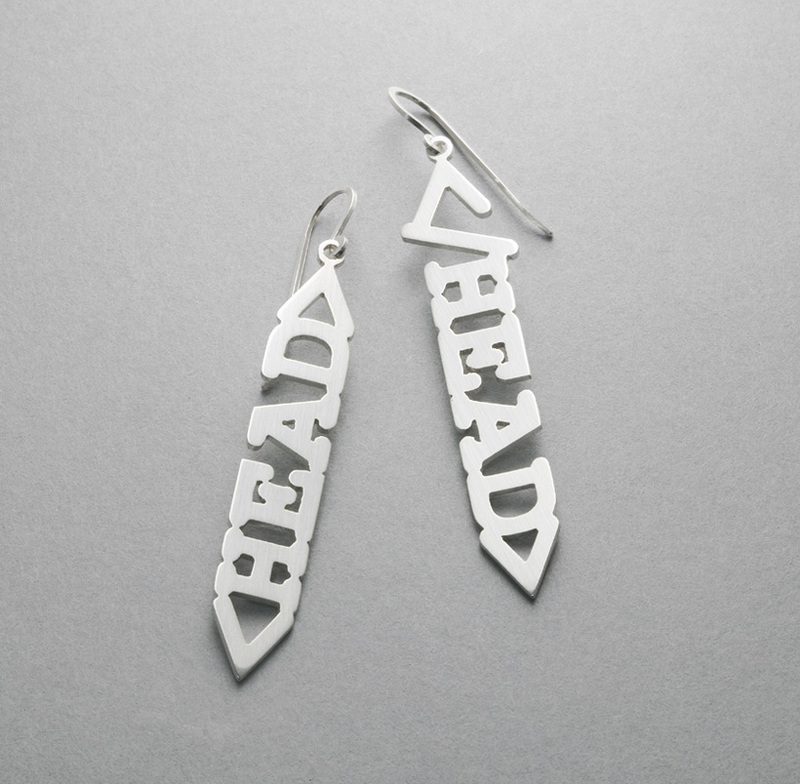 The tags were laser-cut out of sterling silver and connected as a necklace. 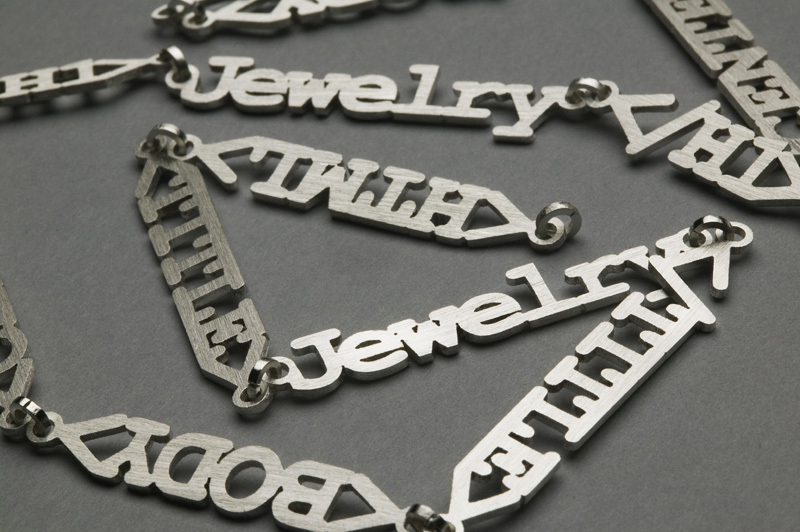 Charm bracelet has a strong commercial image as a souvenir or a gift in our times. I made this piece for a curated exhibition "Charmed Lives" at Facèrè Jewelry Art Gallery in Seattle. 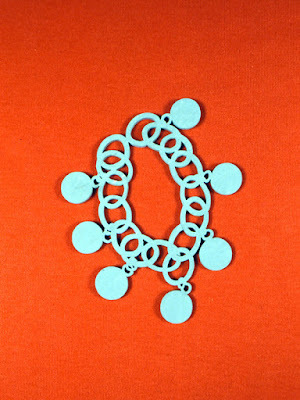 decorative image. 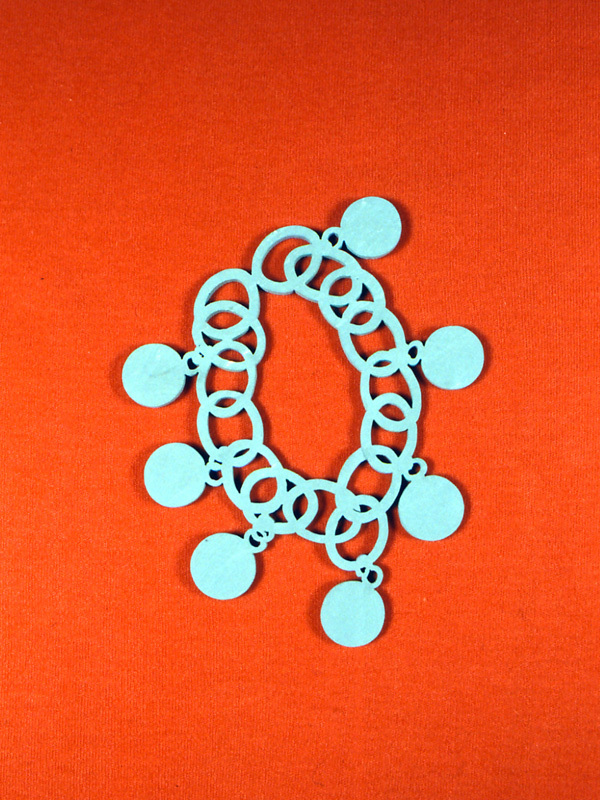 The flexible material, rubber adds the playfulness to it. 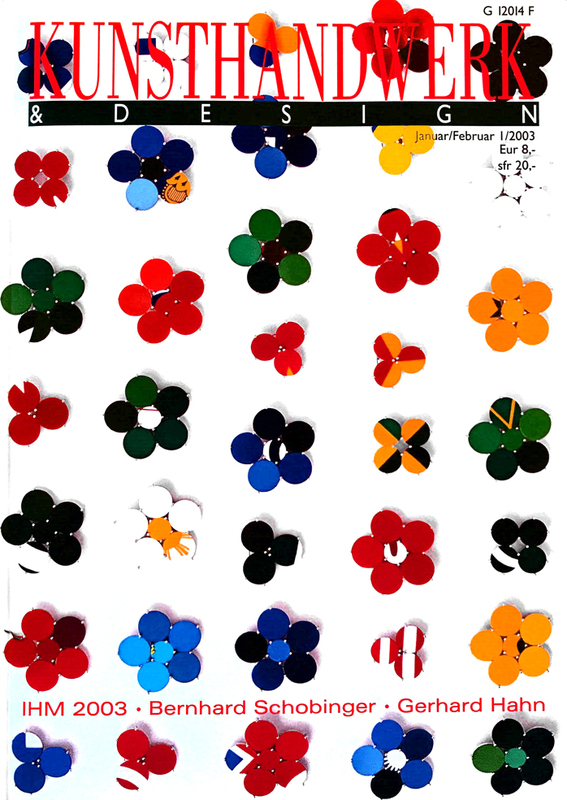 I used flags of 189 countries (member states of the United Nations in 2002) and made 42 brooches. 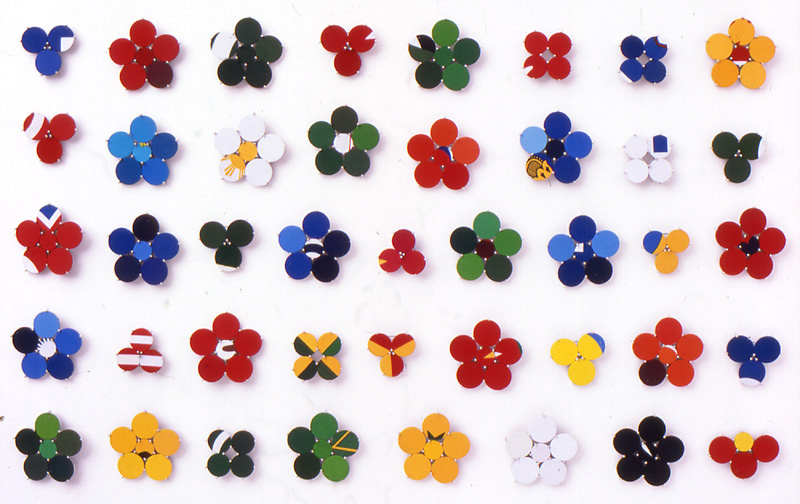 This piece is in collection of Samuel Dorsky Museum of Art. 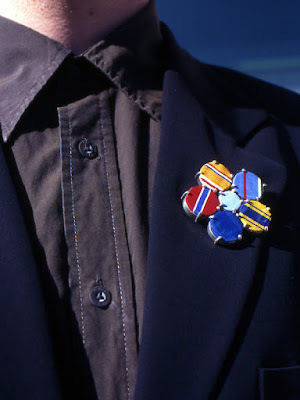 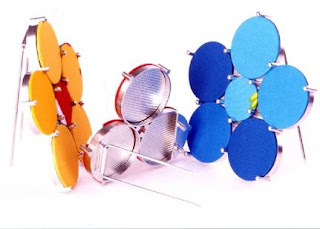 Material: flags of 189 countries, rhodium plating on sterling silver (structure) and copper (the back of the discs). 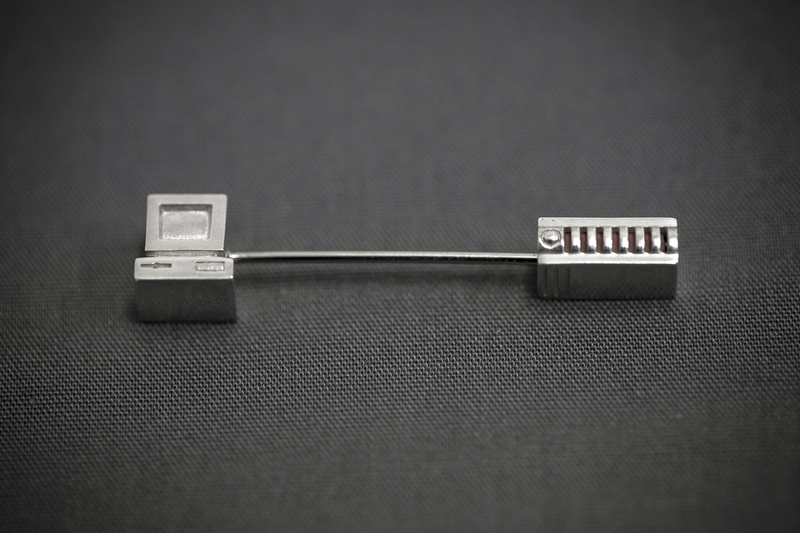 Stainless steel (pin back). 250gram is the average weight of human heart. 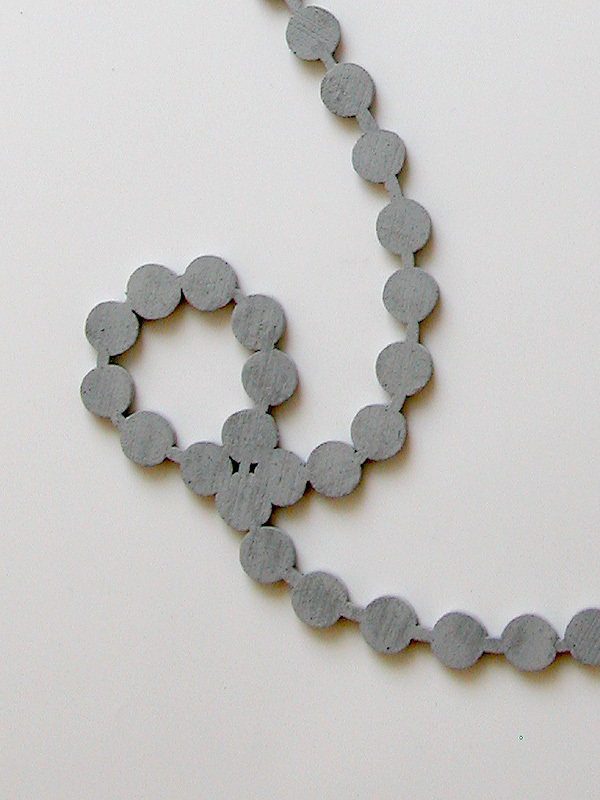 We usually don’t think of the weight of our heart. Each ring has the same weight of a plants, an animal, a bird, a fish, or an insect. 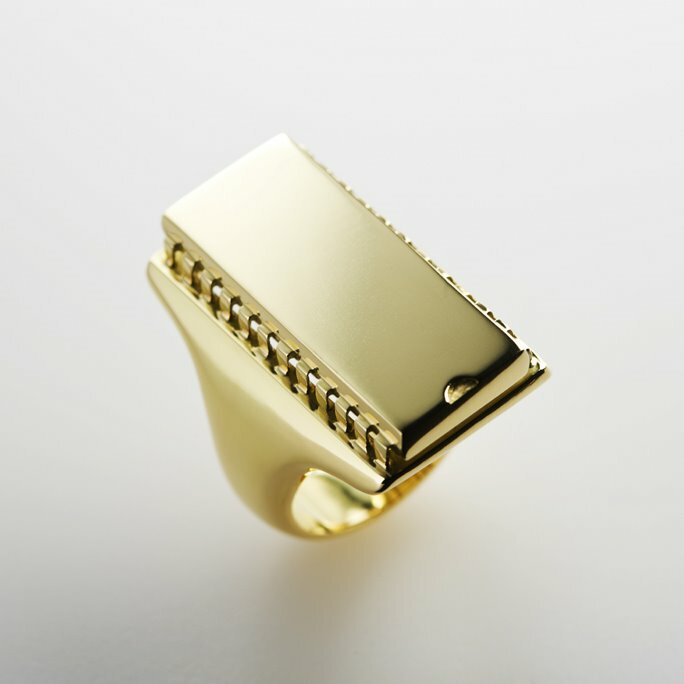 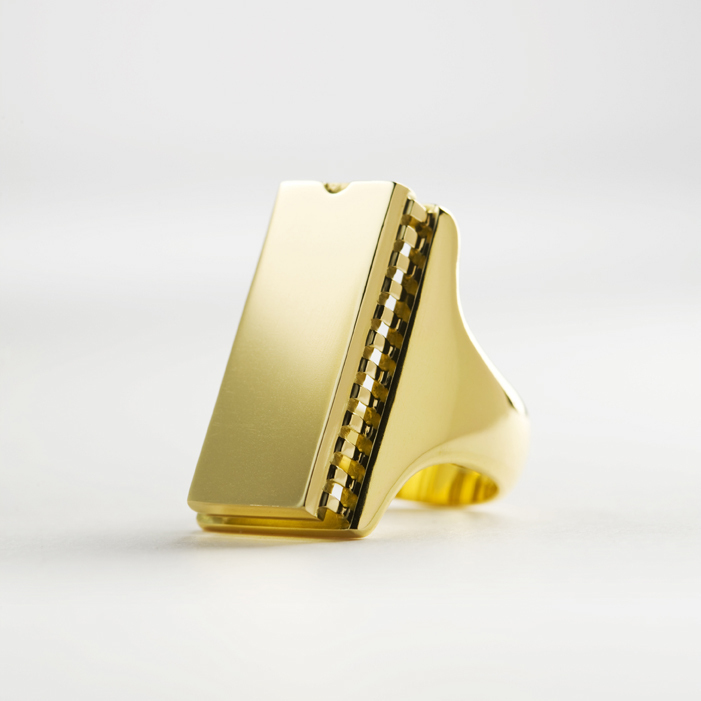 The wearer can experience the weight of each living thing on his/her finger as a ring. 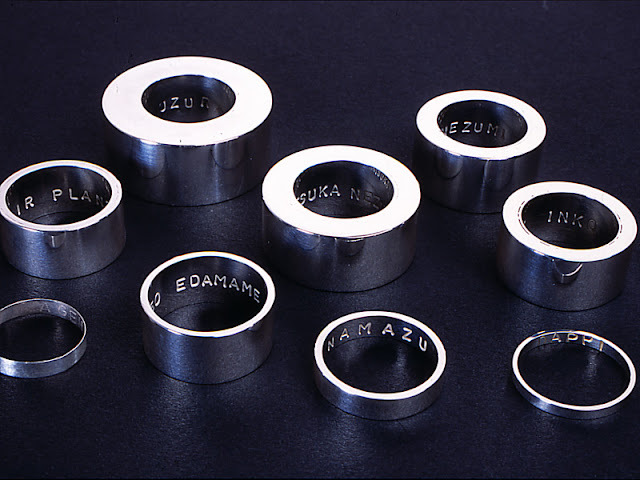 Adding the nine rings becomes 250g- the weight of a human heart. 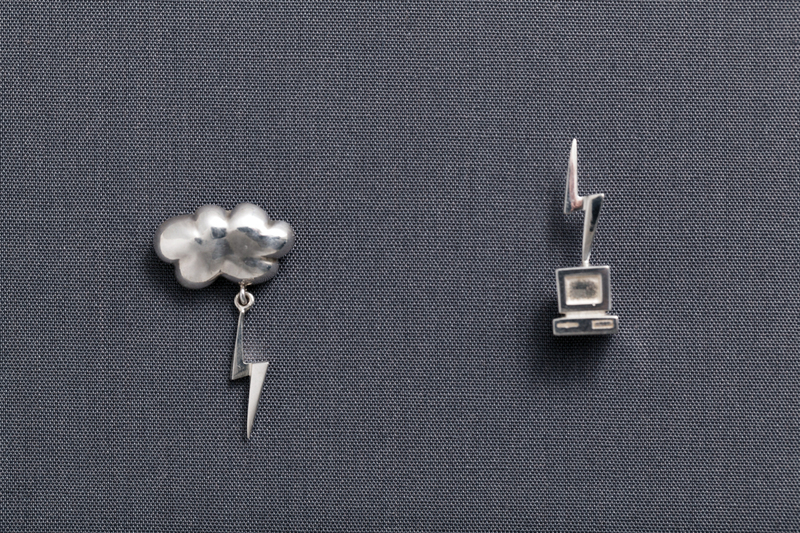 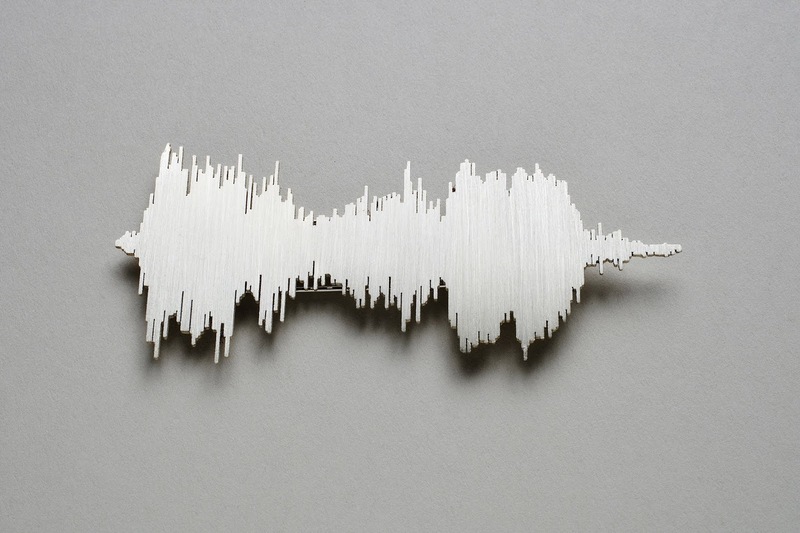 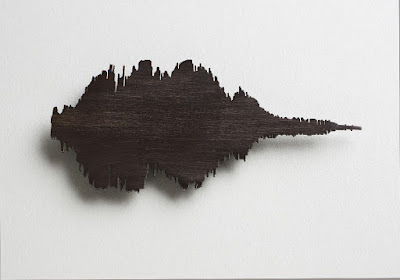 My waveform brooches "Wow" Sneeze" and "Yawn" are currently presented in "Out of Hand- Materializing the Postdigital"at Museum of Art and Design in NYC from October 16, 2013 to June 1, 2014. 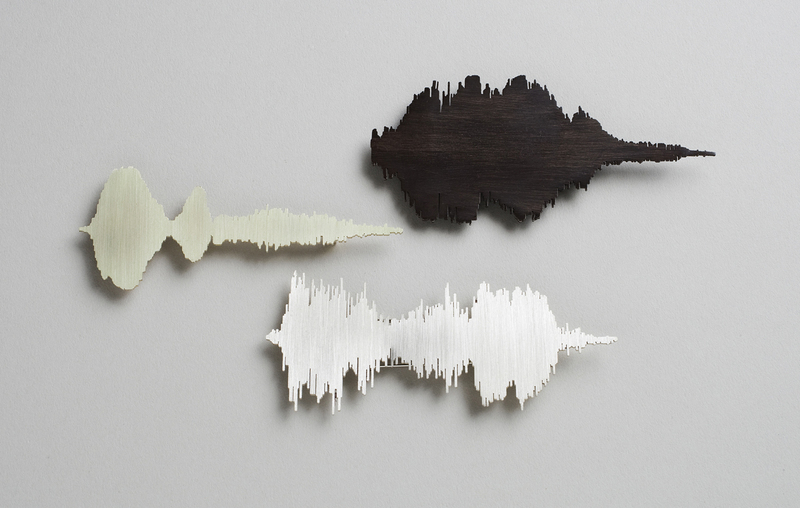 My waveform brooches "Wow" Sneeze" and "Yawn" are added to the collection of Museum of Art and Design in NYC. 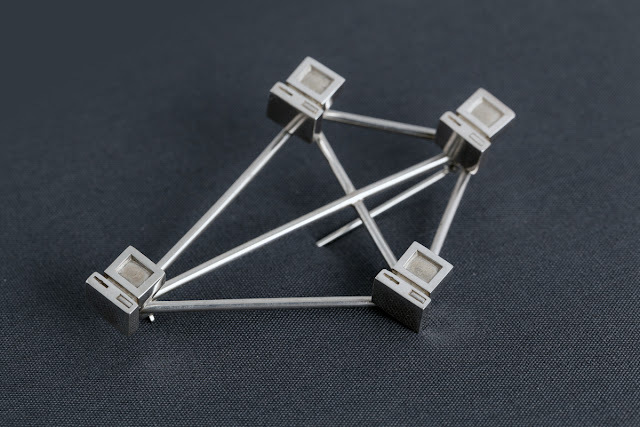 They will be a part of an exhibition "Wear it or Not - Recent Jewelry Acquisitions"
"Jewelry for Network Administrators" (2012) is a collaboration with the new media artist Marcin Ramocki. 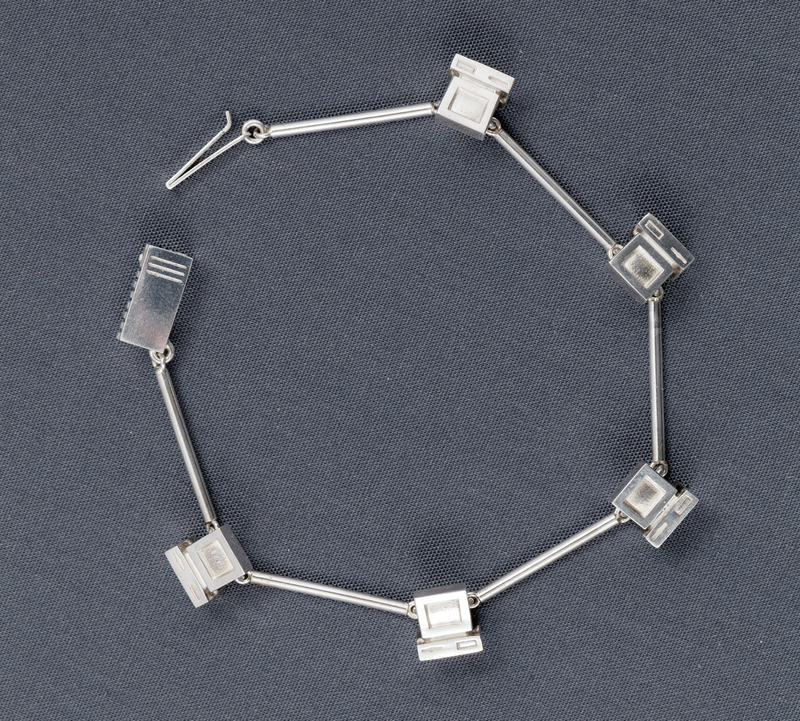 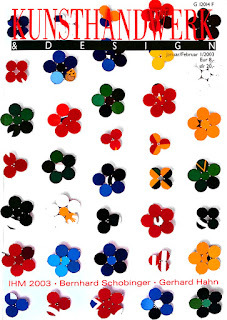 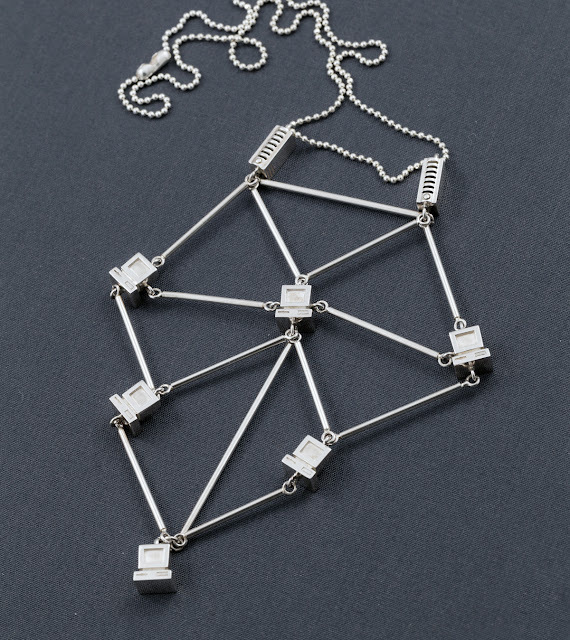 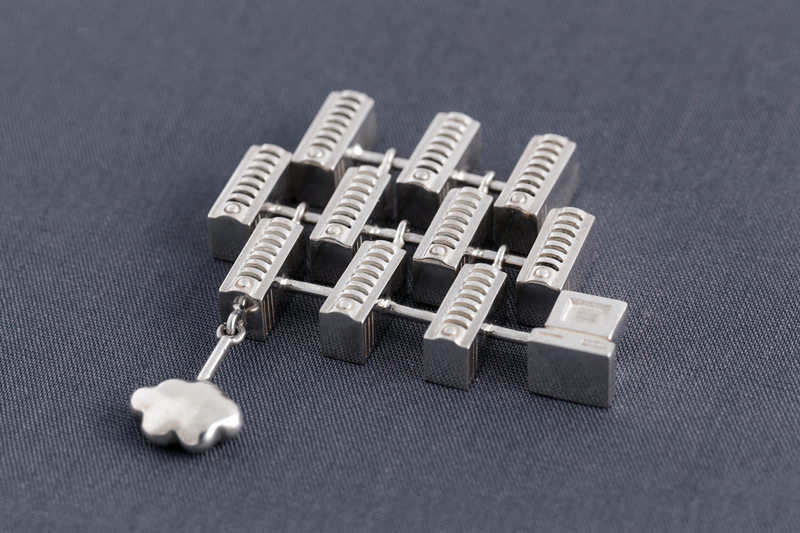 It consists of 12 wearable pieces of silver jewelry based on online diagrams of computer network topologies. 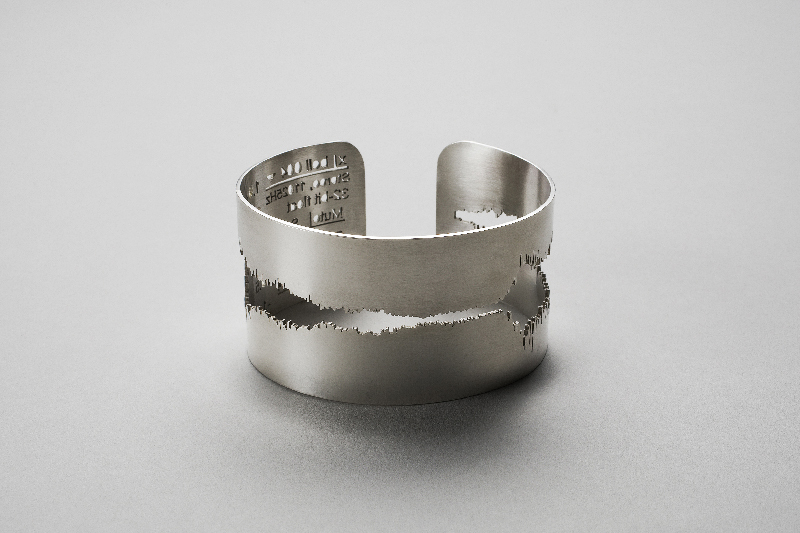 It will be on display at Spazio Ultra (Udine, IT) until Jan. 19 2013. 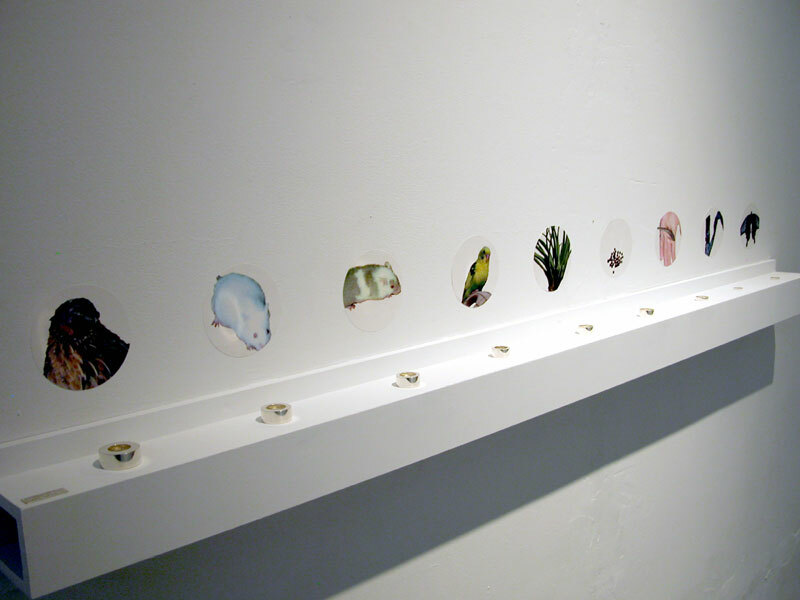 All pieces are available in small editions of 3.